From the first point of contact, notice how the customer engages. Is it by phone call, text, or email? In this initial touch point, does he/she tell you how to respond back or mention their preferred mode of contact? If not and they had to leave a message, follow up first, within 1 business day (the faster, the better! ), using the same means by which they contacted you. Then, you can also send a 2nd bit of correspondence via a different means. For example, if you get a voicemail from a customer, you can call back, leave a VM, and in that VM state that you will also send an email so that he/she has your address. In today's fast paced world where we are constantly connected with all of our devices, email ends up being the most preferred by which most communicate. Emailing: A great, convenient, and rather universal way to communicate that supports consideration for varying time zones. Always remember to protect the image you portray when emailing. Our fingers move fast on those keyboards, so typos are bound to happen without proper proofing. Also, read your messages to ensure the right tone is conveyed. Written messages can often be misconstrued, so be diligent and careful. For those more important conversations, pick up the phone. Texting: Such an efficient way to communicate. When doing it with customers, it should be supportive of and *in addition to* other communication via emails/calls. Save this form of communicating for brief, instant messages and for weekend communication, if/when appropriate. Calling: The best way to ensure that your messages are being delivered and understood in the way you want, but it's not realistic or preferred for all communicating to be done by phone. So strategically choose when to pick up the phone and remember that when customers hear your voice and get to interact with you, you are building a stronger bond and better experience. As noted, pay attention to how the customer communicates and be sure to follow suit. They may not tell you what they prefer, but you need to recognize it. Also, be a step ahead of them by proactively communicating with them regarding all things related to their business with you. You never want a customer to have to chase you down. Now let's be better communicators so we build better experiences! 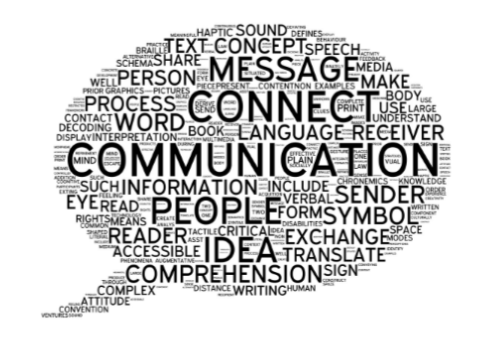 Do you have other ideas and tips for good customer communication? We'd love to hear from you! Please add a comment below.